Benvenuti was born in Lucca and at present lives and works at Greve in the Chianti (Florence). In his hometown he studied under Mario Moschi and attended Accademia di Belle Arti of Florence, of which he is member. In the same city he also taught sculpture at the Lyceum. 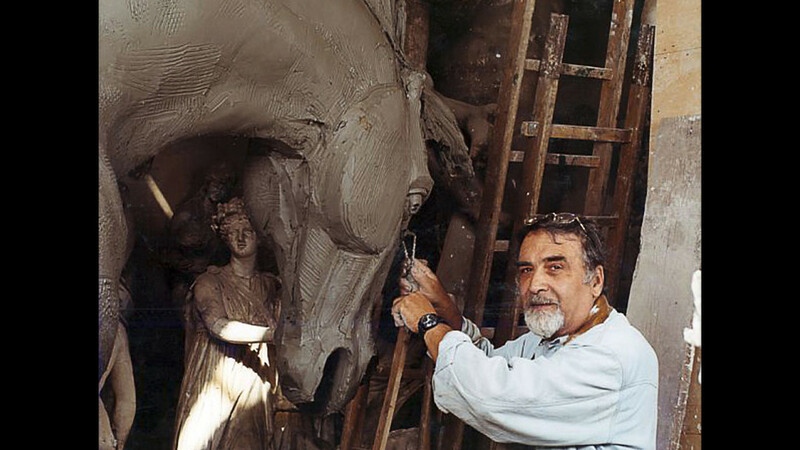 When Benvenuti arrived in Florence, Antonio Berti, an official sculptor to the Vatican and to the Royal Family, gave him a formidable training. A sculptor was supposed to be like an athlete – he had to prove himself to be strong and capable. In 1956,Benvenuti was asked by Berti to be his assistant in making a bronze dedicated to Alcide De Gasperi. 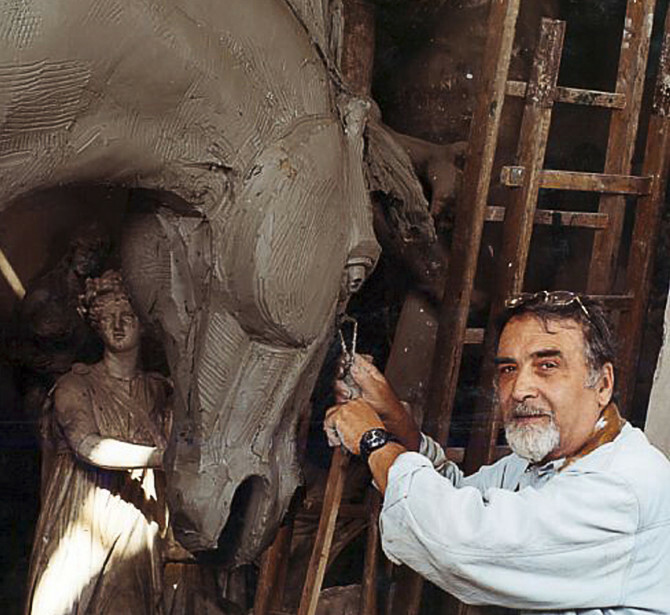 Alongside sculpture, he has worked a great deal for the stage, designing numerous setting for Florence’s Teatro Comunale and Milan’s Scala. This passion of his for the theatre can clearly be seen in his ballerinas which have contributed to spread his fame all the way to Japan, where an important department store acquired and exhibited them in Tokyo and Kyoto stores. His best-known works in the US are the Two Oceans Fountain in San Diego and the equestrian monument for the new Broncos Stadium at Denver, Colorado.